Future Twilight : My Little Pony : Friendship Is Magic (NewCon, 2016) - Hello, Kristina! This costume idea just came to me one night when my roommates and I were rewatching old episodes of My Little Pony. 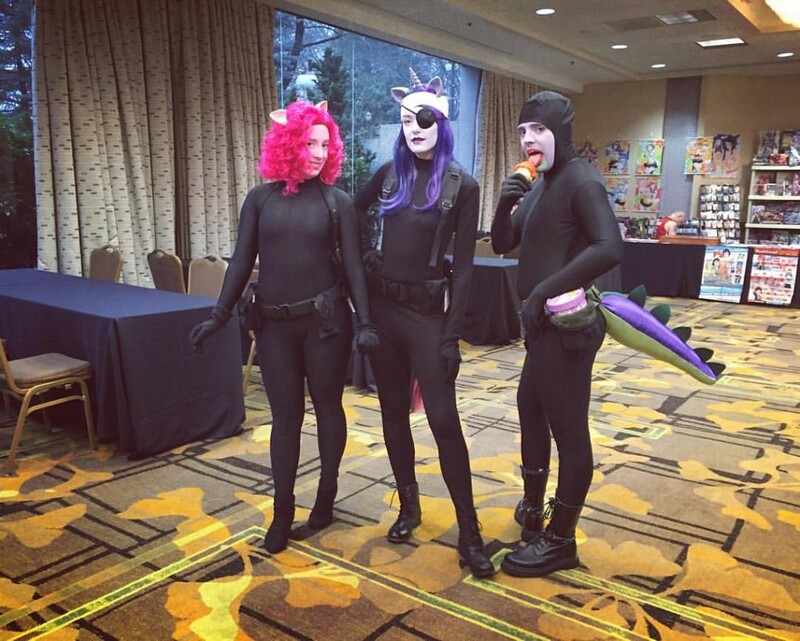 We hadn’t done any MLP cosplay yet, and nothing seemed more fun than dressing up as secret agent versions of our favorite characters. Huge plus for this costume was getting to hit up the army navy surplus store and put together all my fun “gear”. I can’t wait to wear this one again.